Melt white baking chips - set aside 1/2 cup. Stir pretzel sticks into chocolate until well coated. Scoop 25 nests onto waxed paper: use two forts to arrange coated pretzels into a 3-inch circle. 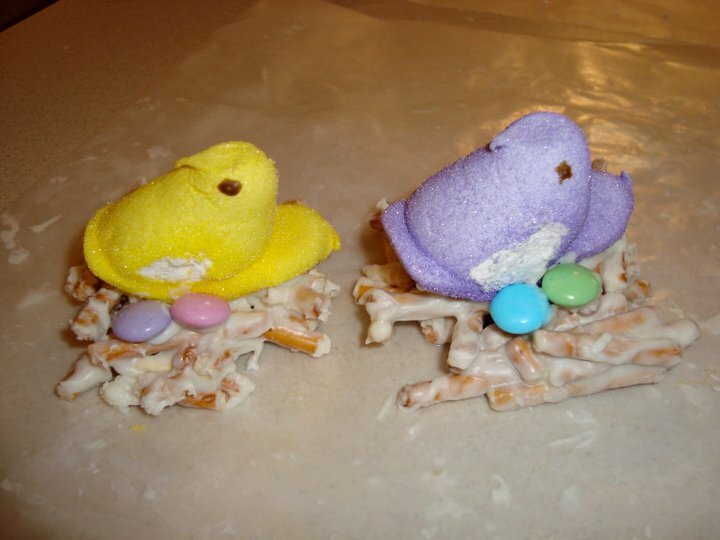 Dip a Peep candy into melted chocolate and place onto each nest. Use melted chocolate to attach candy ''eggs''.